Recommend a visit on board, the boat is really very nice, well kept! Beautiful boat, in 2015 were replaced all the batteries and all electronic handcuffs. Teli coprifly closing cockpit etc. in great condition. Run total storage with particular attention to search engines every year. 110 liters per hour of hourly consumption. Category "A" exterior picture Repertory C.E.. DIRECT SALE!! 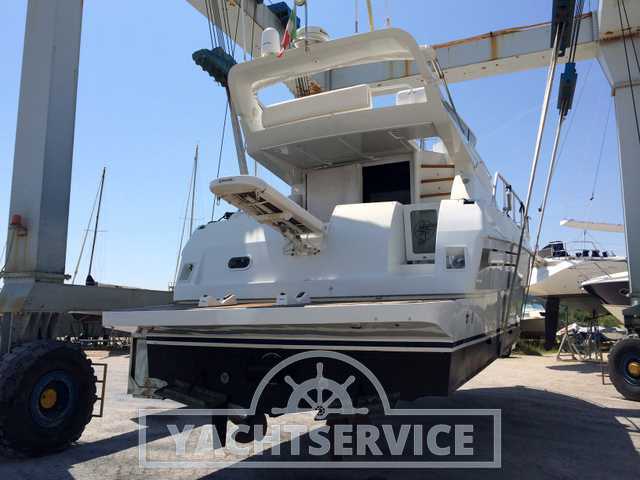 Great for those looking for a boat in two cabins with dinette. 2 cabins-2 toilet Compass, Log speedometer, Radio, autopilot, GPS, CD player, TV, VHS, Plotter, VHF, depth sounder, DVD.